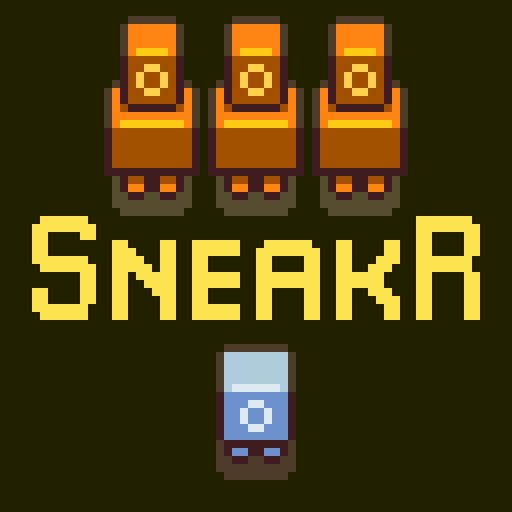 SneakR is a short stealth game I started and finished in 3 weeks, when I had time after work. Hopefully it's fun! If it's not then oops! I might update it! I might not! Life is a cosmic merry-go-round and we are just the horses. Hi! I'm Joseph Gribbin, and I'm an Independent Game Developer and Artist from London, England. If you like this game then please check out my other personal project The Wild XYZ. Played through it all, enjoyed it when I wasn't dying. :) Really love your art style. Ah, I guess Norton doesn't get on with .exes :S will try and put a zip up soon. Really enjoyed this. I've loved stealth games ever since the first Commandos, and this made me feel a bit nostalgic. While I am pretty much terrible at games like this, I love the creativity of the game. It'd be awesome to see more come from this, but it's still fun where it's at today! Great game! Really enjoyed it! Thou I only played three levels in the video I made cause I didn't know how many levels there was going to be..